About Australia: When you are planning a vacation to Australia and the South Pacific, please remember that Australia is an island the size of the U.S.A. It is wider across than the distance from New York to Los Angeles but has a population of only 20 million people. Climate: Australia is largely a temperate island destination. The seasons are the opposite to the seasons in North America. Some areas of Northern Australia experience a tropical climate, so be prepared for pleasantly warmer weather. Documents: A valid visa is required for all people wishing to travel to Australia. Visitors of all nationalities (except Australian and New Zealand passport holders) must obtain a visa prior to arrival. Qantas Vacations can issue Electronic Visas, for a $25.00 fee per person, prior to your departure. Please ask your travel agent to call our reservations department for this service. Currency: The electricity current in Australia is 220–240 volts; AC 50Hz. The Australian 3-pin power outlet is different so you will need an adapter socket. Check your appliances to see if there is a 100–240v switch. If not, you will need a voltage converter. Universal outlets for 240v or 110v shavers are usually found in leading stores. Electricity: The electricity current in Australia is 220–240 volts; AC 50Hz. The Australian 3-pin power outlet is different so you will need an adapter socket. Check your appliances to see if there is a 100–240v switch. If not, you will need a voltage converter. Universal outlets for 240v or 110v shavers are usually found in leading stores. Taxes and Tipping: All goods and services purchased in Australia are subject to a 10% Goods and Services Tax (GST), which is usually included in the displayed price. You may apply for a refund on the GST but only on goods costing A$300 (GST inclusive) or more, bought from the same store no more than 30 days before you leave Australia, which are to be taken with you as hand luggage or worn onto the aircraft upon your departure. Further information is available from Australian Customs upon arrival. Australians do not depend on tips or gratuities for their income and tips are not expected for normal service, even in restaurants and pubs. However, tipping in appreciation is at your discretion. Tourist Refund Scheme: When in Australia you can claim a refund on the tax you pay on some goods and services (except consumables). Refunds available at major airports in Australia. Driving in Australia: A bonafide tourist may drive in Australia on a valid overseas driver’s license. Please remember to drive on the left hand side of the road. Shopping: Australia is a true shopping heaven. All major cities have extensive shopping facilities with malls, arcades and specialty shops selling a wide range of home-produce and international products. In the last few years Aboriginal art has increased in popularity. Duty-free shopping can be enjoyed in every capital city and international airports. Fine Food and Wine: If you’re passionate about fine food and wine, you’ll fall in love with Australia. Fresh seafood is widely available. For something unique, try ‘fusion’ food, combining the best flavors from Asian, European and Australian cuisine. Australian wines are renowned throughout the world. 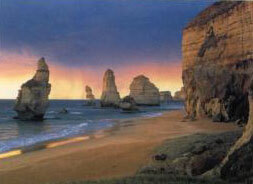 11 days independent tour visiting Sydney, Blue Mountain, Canberra, Beechworth, Melbourne from $3,290 per person. 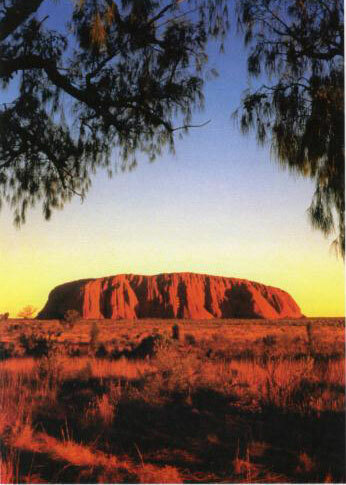 15 days independent tour of Sydney, Adelaide, Alice Springs, Ayers Rock, Cairns from $4,410 per person. 6 days escorted tour visiting Broken Hill, Opals & Silverton starting at $2,749 per person land only.